Are you looking for a family friendly party this weekend? 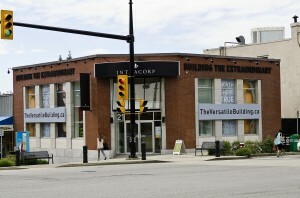 Then, you’ll want to attend Party at the Pier 2012 on July 15th and check out The Versatile Building’s booth. The event is hosted by The Lower Lonsdale Business Association in North Vancouver and will include family friendly entertainment and activities. You can find The Versatile Building’s booth near the crane and Pier 7 Restaurant. And, just by dropping by you could have a chance at winning one of their fabulous draw prizes! Better yet, you can ask their sales team for more information about The Versatile Building and the beautiful homes that are still available. Located in North Vancouver’s Lower Lonsdale neighbourhood, The Versatile Building is within walking distance to Lonsdale Quay and features a heritage style boutique building. Though their Sales Centre is now closed, they still have beautiful homes remaining, so it isn’t too late to own a little piece of the North Shore.